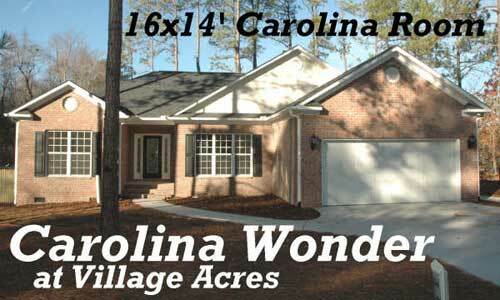 CAROLINA WONDER at Village Acres. 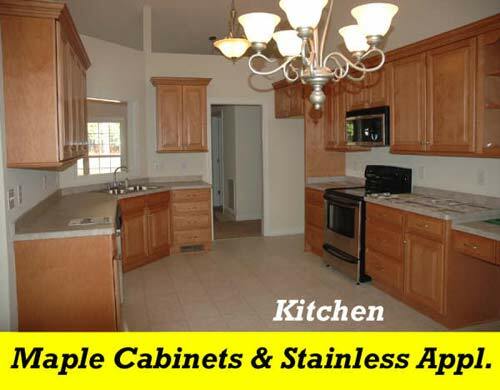 Close to Hospital and walking trails. New open split bedroom plan. Vaulted Living Room, Kitchen and Breakfast Rooms. 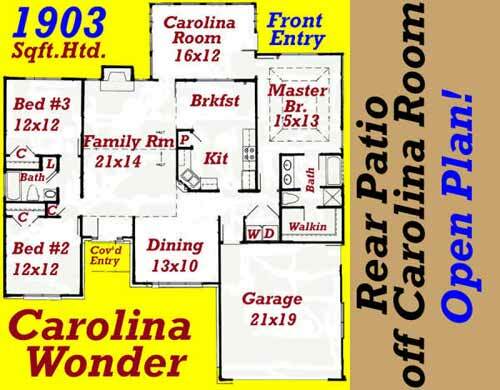 Carolina Room leads to back deck that overlooks wooded background. Beautiful Trees, patio with walk to double car Garage. Master suite with raised trey ceiling. Formal dining room or extended family area. Raised trey Master suite, with walkin closet. Designer glass block window in Master Bath. Hurry & pick your colors! 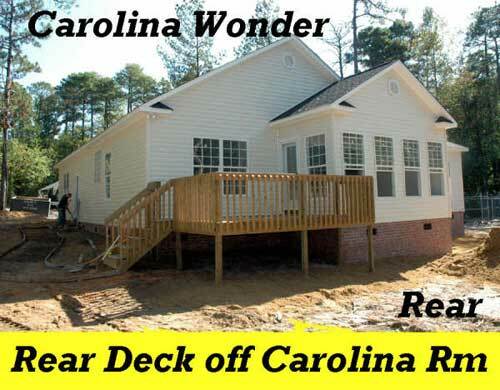 Call 910-692-2500 or 1-800-849-2645 for more information.